Google’s Pixel 3 handsets may be shrouded in a plethora of technical issues, but one fact that can’t be denied is that they offer one of the best smartphone camera experiences. In addition to the camera, Google has added many new software features to make the experience even better. One such feature is the Pixel 3’s Top Shot. The Pixel 3’s Top Shot feature analyzes images taken before and after the shutter button is pressed and then recommends the best picture of the bunch. It is an upgraded version of the Motion Photo feature, which was in older Pixel devices. Although Samsung and Huawei do offer a feature that recommends the best image from a group, Google’s feature is more complex and more advanced. Thus, to help users understand how Top Shot works, Google has published a blog post explaining the behind-the-scenes details. The Pixel 3’s Top Shot feature saves and analyzes up to 90 shots taken between 1.5 seconds before and after the shutter key is pressed. After analyzing these images, the feature then recommends the best image of the lot. Keeping in mind latency and privacy, all this processing is done in real time and kept on the device. The recommendation is based on several factors, like emotional expressions, smile, lighting and open eyes. In addition to these more obvious factors, the feature also considers many technical aspects, like optical flow, exposure time and gyroscope data. Google uses machine learning models to make the Pixel 3’s Top Shot feature work. For instance, the company uses a “vanilla MobileNet model” to identify emotional expressions, closed eyes and blurry subjects. Then it uses a “Generalized Additive Model” to score faces. “We trained our model using knowledge distillation over a large number of diverse face images using quantization during both training and inference,” Google explained. For images with no faces, the scoring model is programmed to look for motion blur, object motion, auto exposure and more. After this process, when the feature has found up to two images it feels are better than the one that was actually taken, the images are processed into HDR+ images using the Pixel Visual Core chip. They are then saved with Motion Photo. When the user reviews those photos later, there will be an option to select the “Top Shot” image Google thinks is the best. Users also have the option to manually select non-HDR photos as well. Nowadays most of us depend on our smartphones for capturing memories, but not all are gifted photographers who know how and when to capture the perfect shot. This is where the Pixel 3’s Top Shot feature comes in handy because it helps users take a good photo even if the subject’s expression or eyes or even the lighting changes the moment you tap the shutter button. 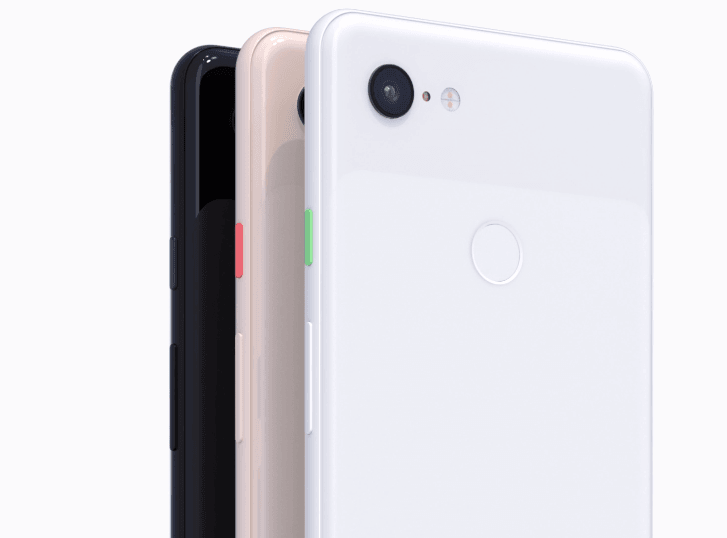 To use the feature, first open the Camera app on your Pixel 3 and then take a picture. Next, open the picture you just took and swipe up on the screen to get the photo details. Now move your finger left or right to see the recommended images. It is up to you to pick the best picture from the recommended images. To use Top Shot, you will have to enable Motion Photos by tapping on the circular icon along the top of the viewfinder. If you believe you will need to use the feature more often, then it’s better to enable Motion On instead of Motion Auto. In addition to Top Shot, Google has added many other camera features to the Pixel 3 phones to help you take good photos. One such useful feature is Night Sight, which enables users to take good photos in low light without using a flashlight. Another good feature is the group selfie mode. This feature ensures that you capture everyone in a group picture while taking a selfie. Users also get the option to add animated stickers to photos and videos. Google also came up with Super Res Zoom for situations in which zooming becomes a bit stressful. The feature takes multiple pictures and then integrates them together.